This week; the zenith of Omoto, its fall, and its postwar rebirth. Plus, what have we learned? Stalker, Nancy. 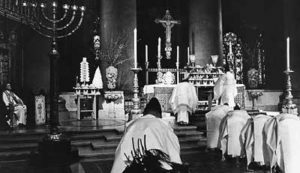 Prophet Motive: Deguchi Onisaburo, Omoto, and the Rise of New Religions in Imperial Japan. Garon, Sheldon. Molding Japanese Minds. 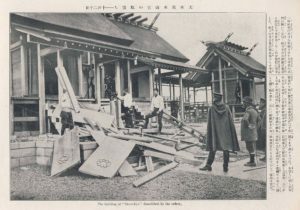 Ruins of the 2nd Omoto Incident. 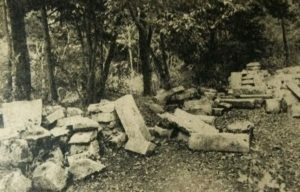 This photo of a former Omoto Shrine was taken in 1950. 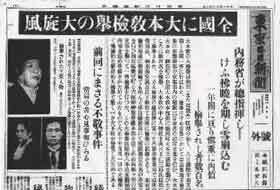 A Tokyo Asahi Shinbun feature on Onisaburo’s trial, from 1936. 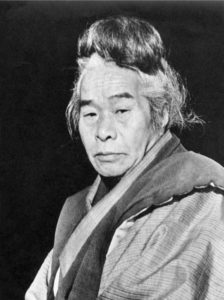 Onisaburo as an old man. 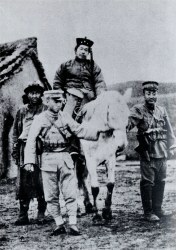 I didn’t know that Morihei Ueshiba was affiliated with Omoto. My understanding is that he began developing his discipline sometime in the 1920s, correct? So that would mean that he had already met with Onisaburo. So in what ways did Omoto believes and practices influence Aikido (and vice versa)? Did he continue to stay with the movement after the government crack-downs began or did leave?